Large, heart-shaped mature leaves are almost entirely a solid silver. Leaves are thick, tough, non-melting, and hold up exceptionally well in extreme heat and humidity. Wispy panicles of blue forget-me-not flowers appear above the foliage in April and May. 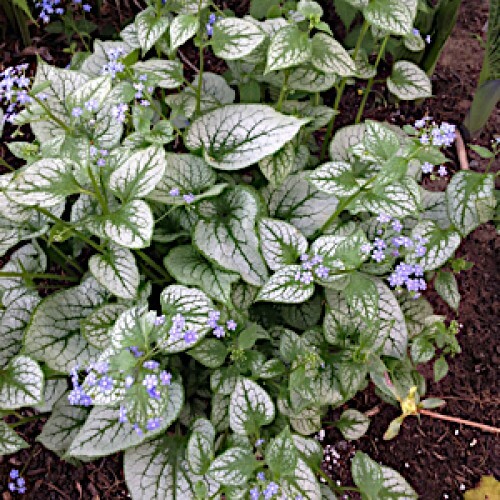 A Brunnera on steroids, this variety has huge frosted leaves more reminiscent of a Hosta. 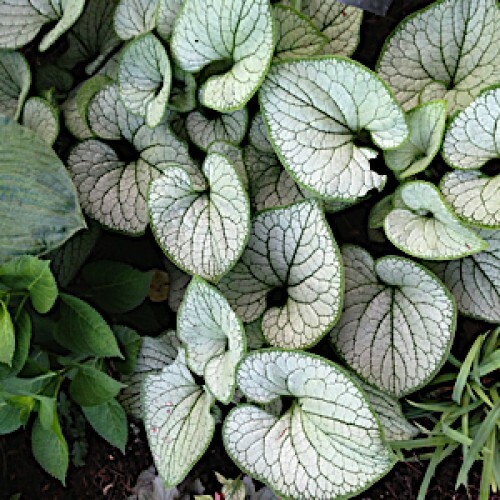 With the c..
'Jack Frost' is grown for its lovely silver-coated foliage as well as for the light blue flowers tha..
Large silver heart-shaped leaves have prominent green veins with exceptional substance. 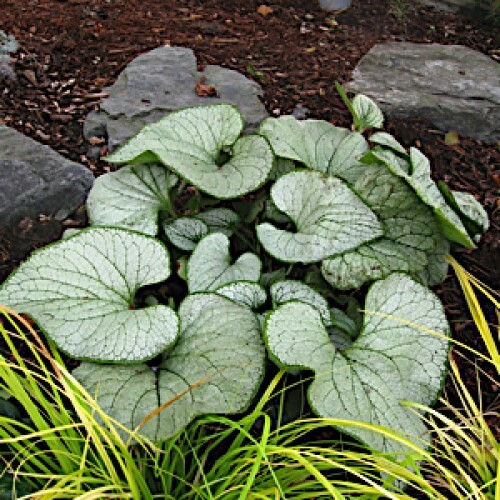 Provides spr..
'Redstone Falls' features changing autumnal-colored leaves with dark markings. This trailing variety..